This is it! A high-end, fully licensed and compliant, turnkey facility located just outside of Ashland. With a 30x100 and 60x100 top of the line fully automated Conley Greenhouse fitted with automated watering, fertigation systems, light dep., HPS lighting, climate control, and motor-powered sidewall vents. Take advantage of the Tier II Mixed Use Canopy license with 9000 sqft indoor and 4000sqft outdoor. The 60x100 also has radiant heated wood-framed beds aiding in year around growing. 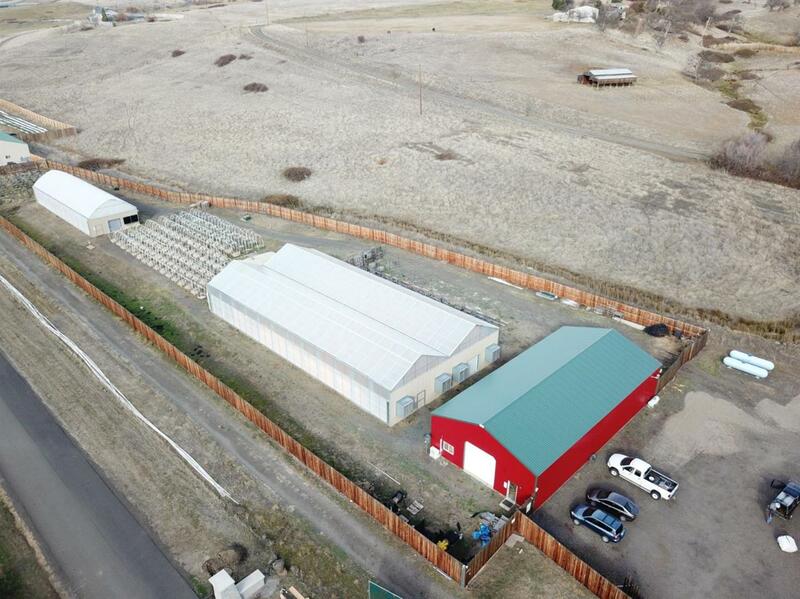 The property has a 40X80 Propane-heated Barn with 3 separate code-locked rooms for drying/curing, storage vault, and security central office. The outdoor garden offers Graveled, automatic irrigation, wind guards, trellis, t-posts, cloth pots, organic soil, and 14 hour days of sun at the solstice. TID provides cheap clean water, and all of this is surrounded by an 8' fence for privacy and security. . The Property comes with all equipment and is a plug and play opportunity. POF and NDA required to show.